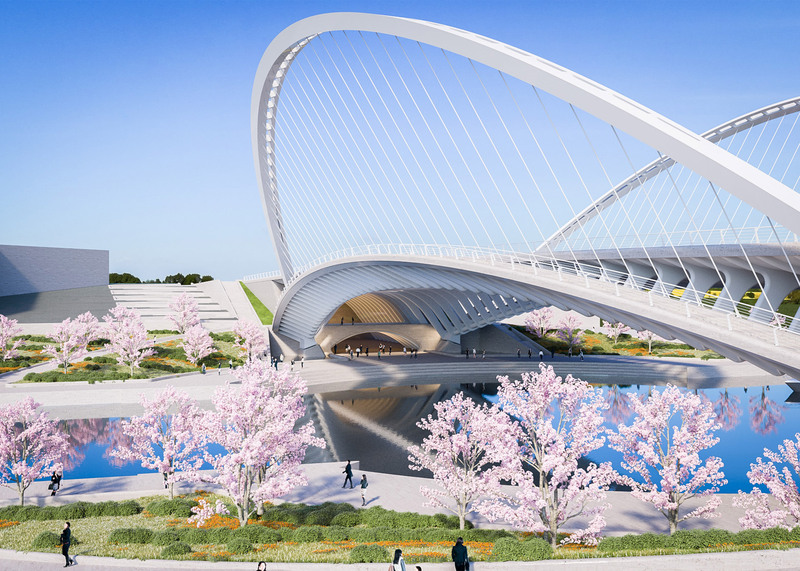 Spanish architect and engineer Santiago Calatrava has unveiled designs for three new multi-modal bridges for the growing Chinese city of Huashan (+ slideshow). 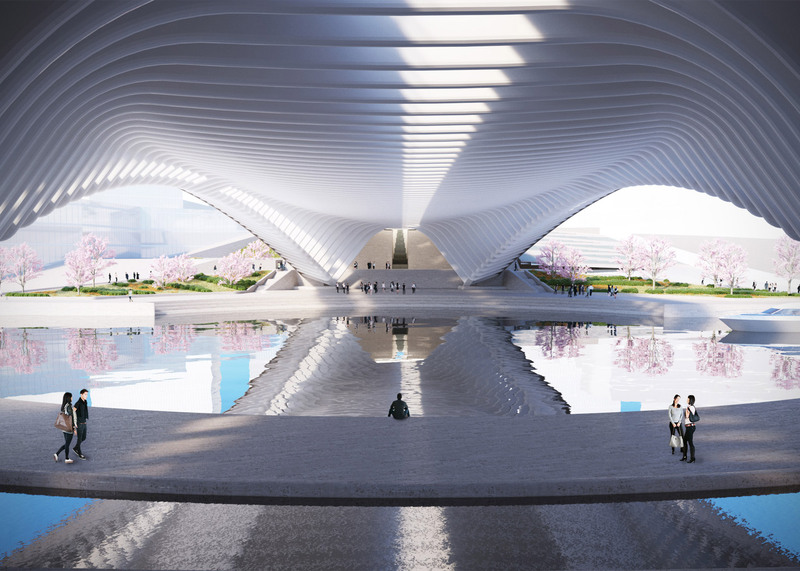 The three spans will cross a new Yangtze River canal in the central province of Hubei, accommodating pedestrians, cyclists, and automobile traffic, and will connect to canal-side promenades and parks. 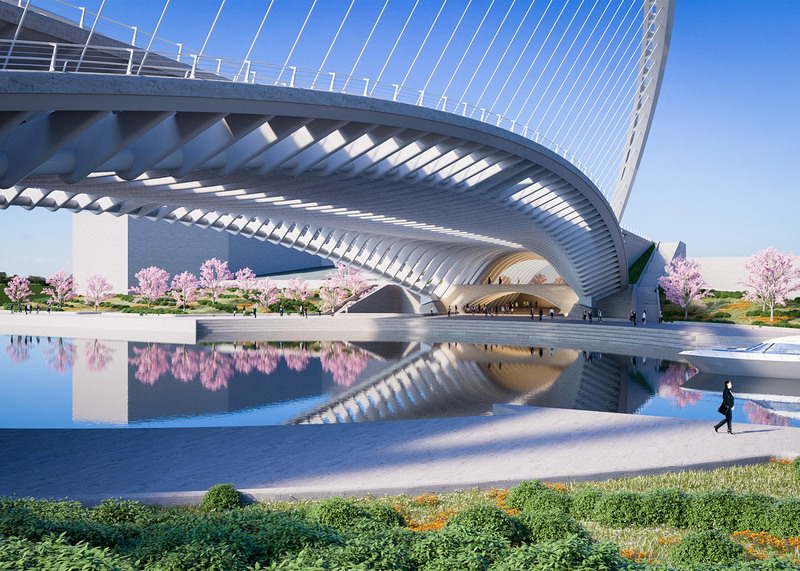 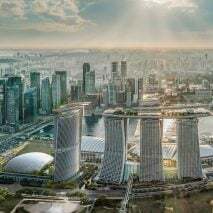 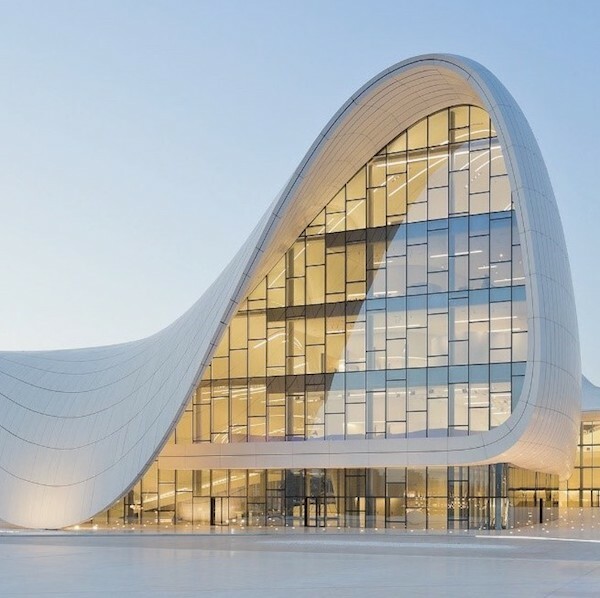 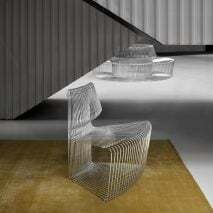 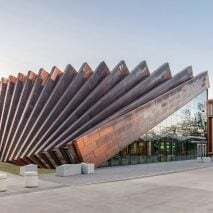 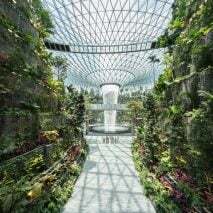 "Architecture is one of the art forms best able to improve and revitalise cities both artistically and functionally," Calatrava said. 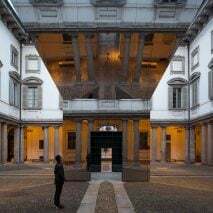 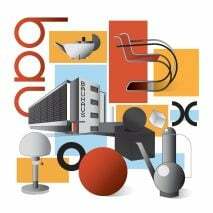 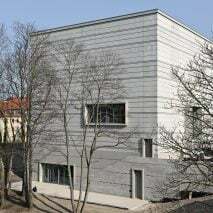 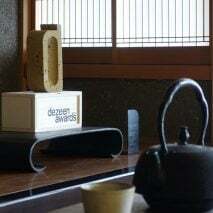 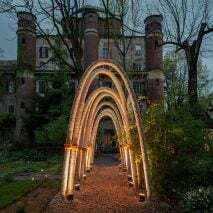 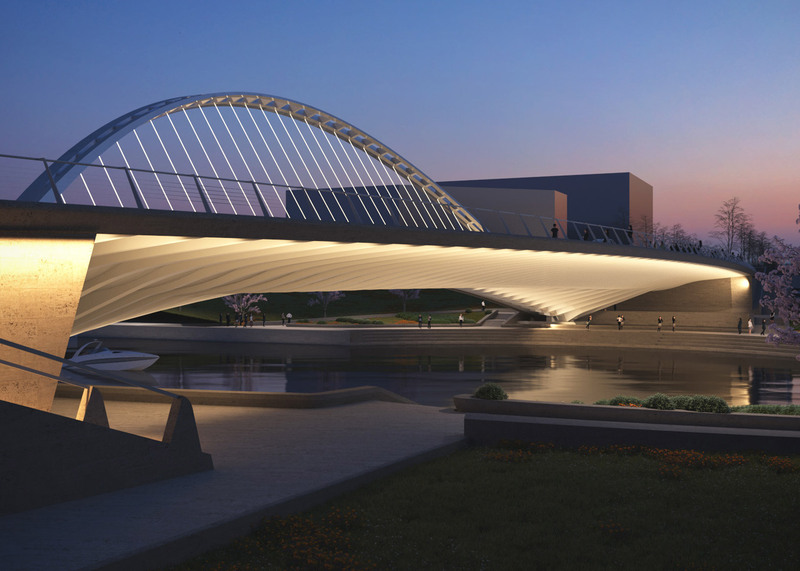 Each uses a variation of a Through Arch bridge design, where the deck passes through an arched structure. 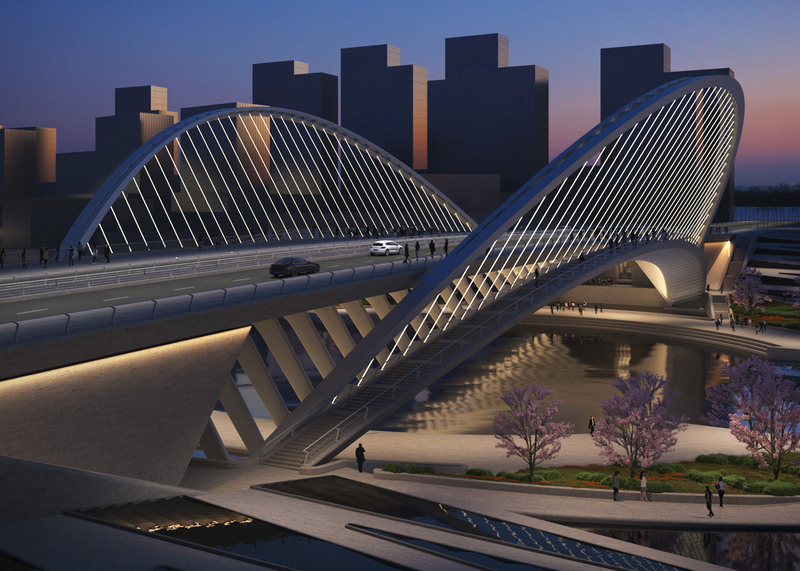 The easternmost bridge, called Lincong, has two splayed arches and measures 387-feet (118 metres) long. 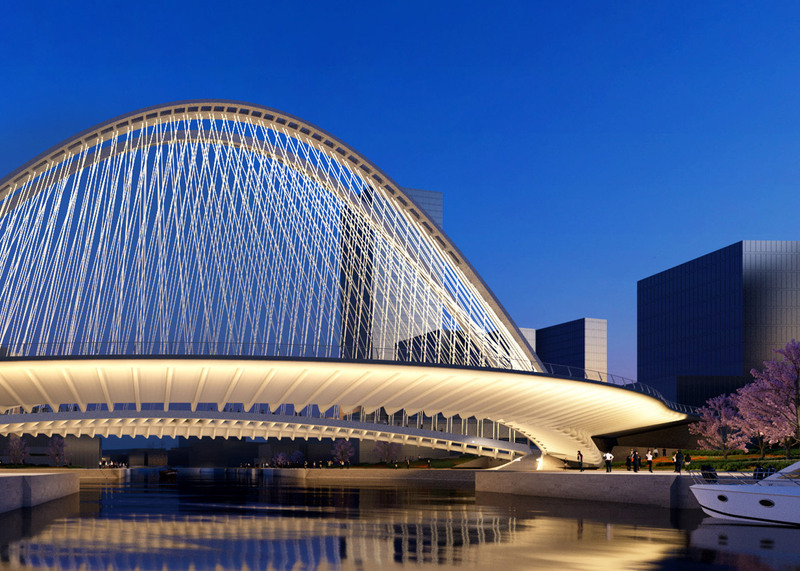 The central structure, Xianbi, is the longest at 423 feet (129 metres) and features a pair of parallel arches with a gap in the centre dividing the two traffic lanes. 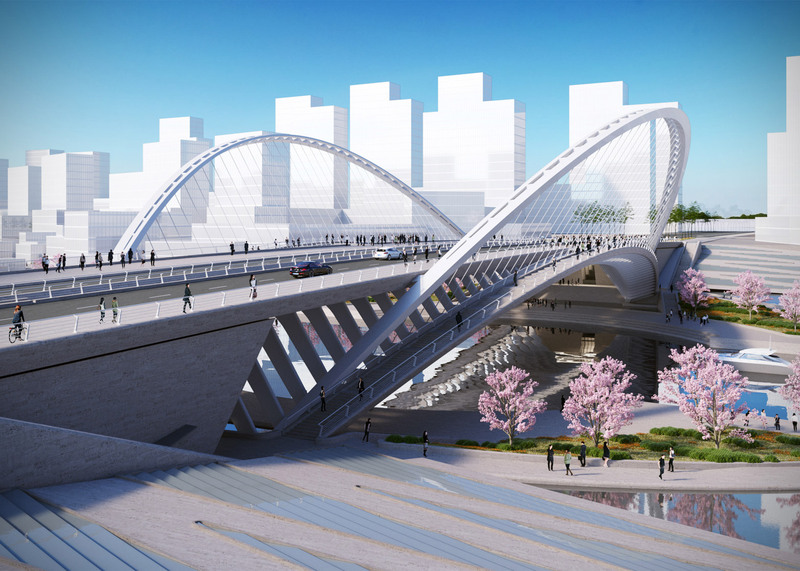 Named Xihu, the western span uses a single titled curving support with an integrated staircase, which connects pedestrians directly to the canal-level promenade. 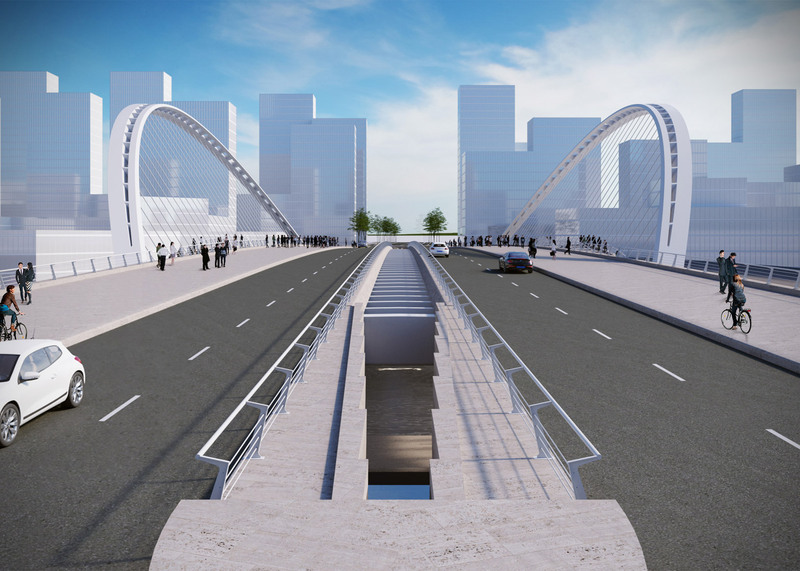 The bridge measures 337 feet (102.9 metres) in length. 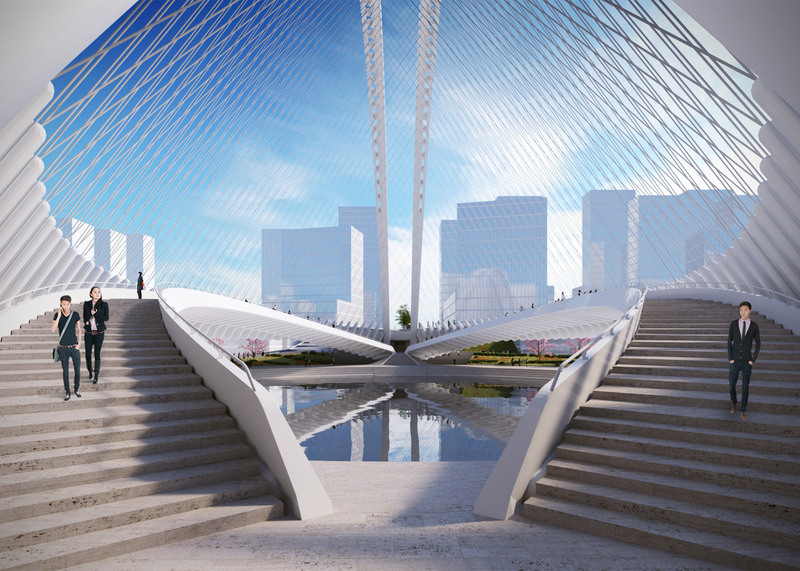 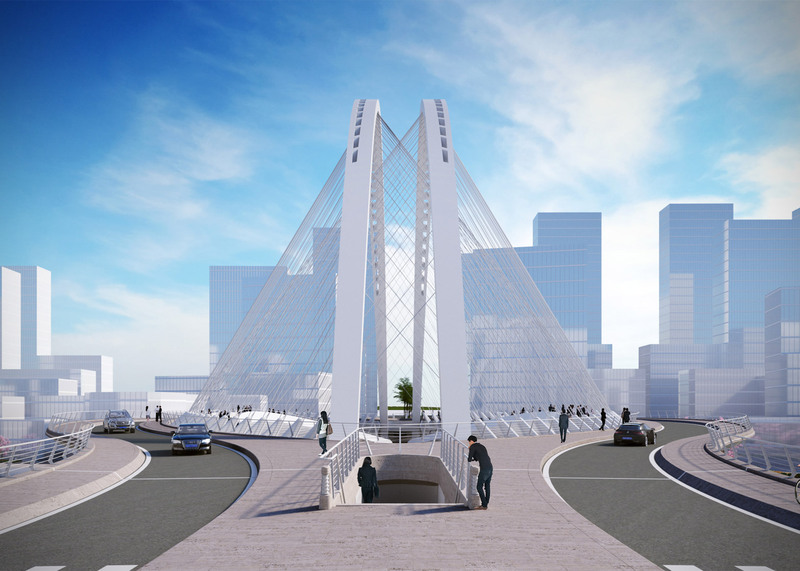 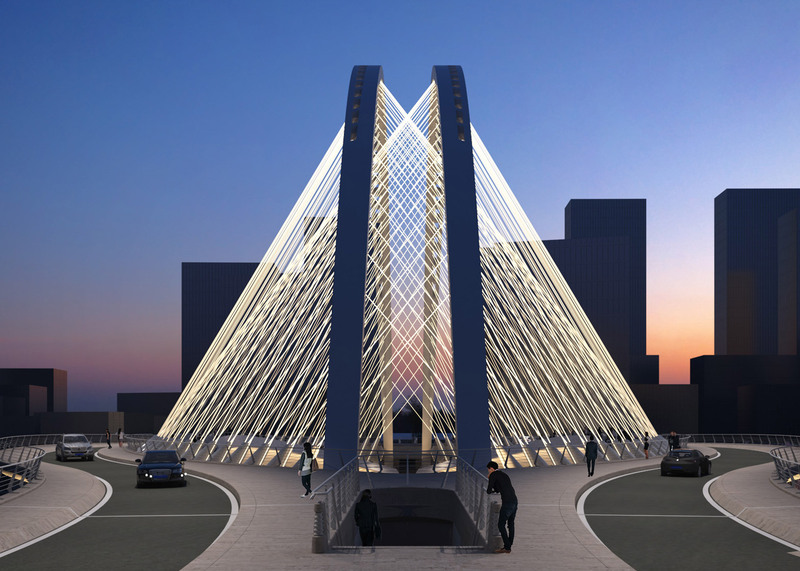 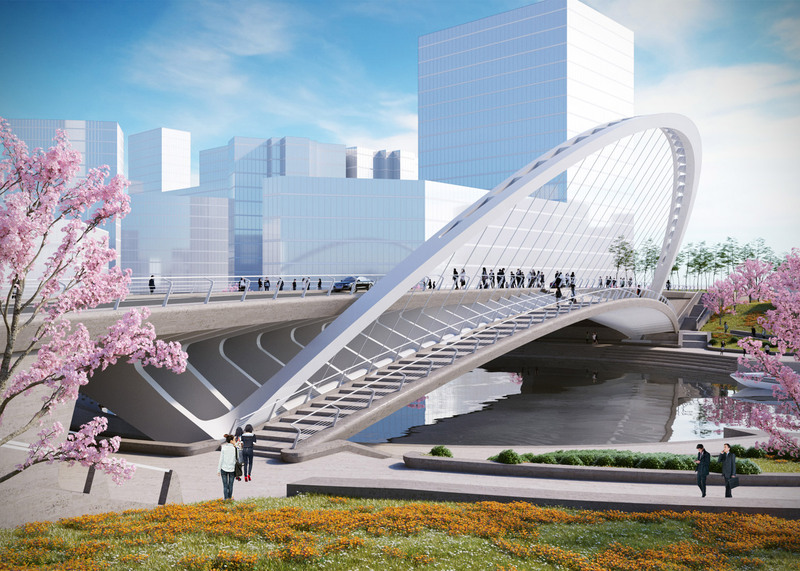 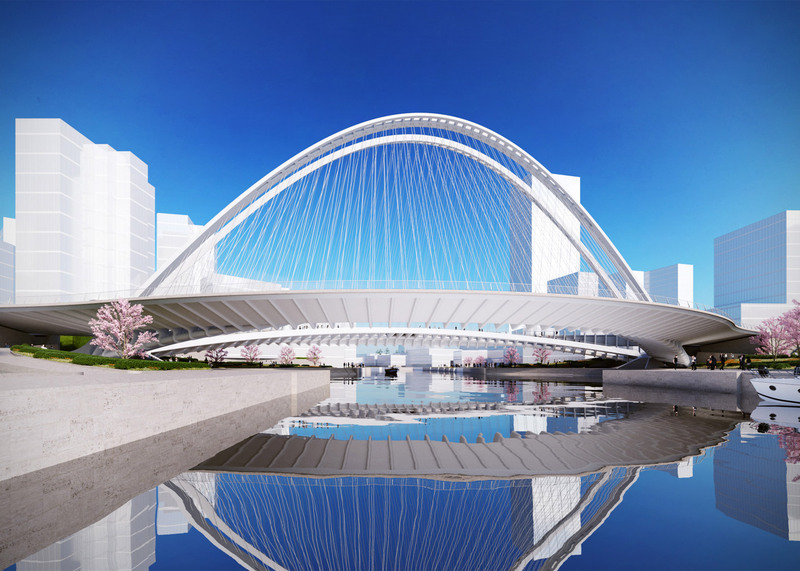 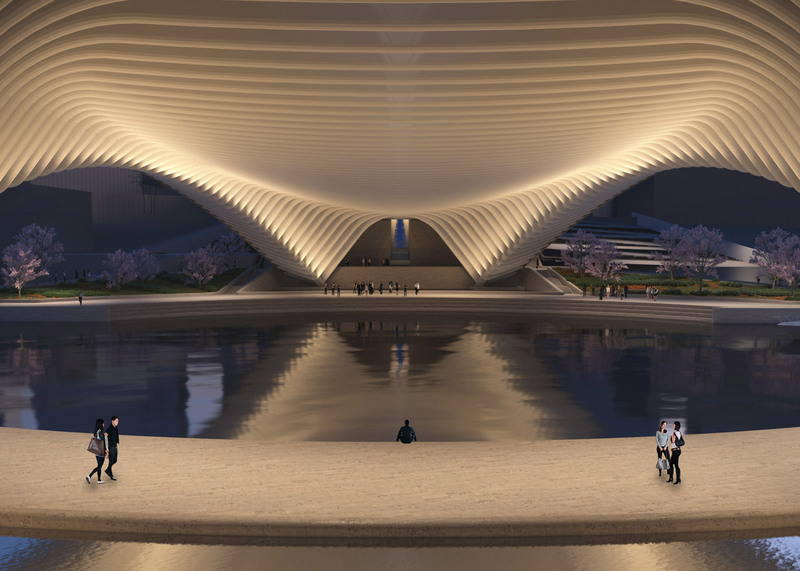 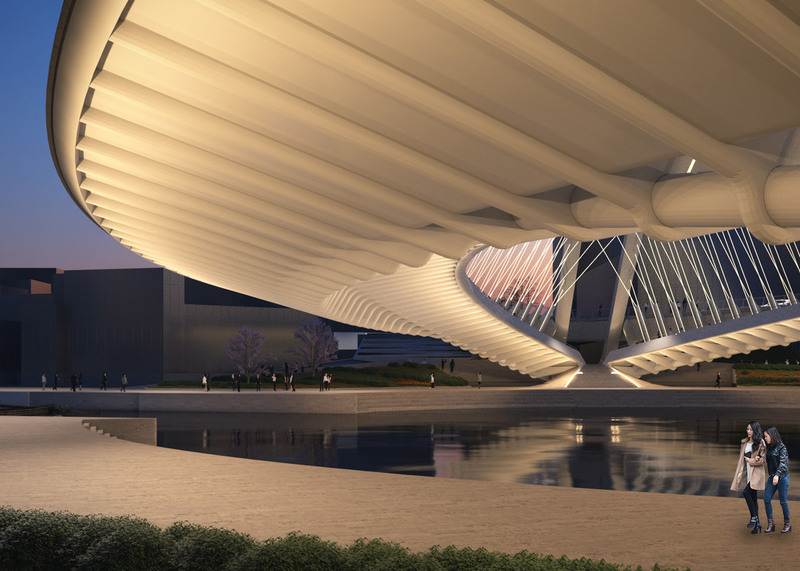 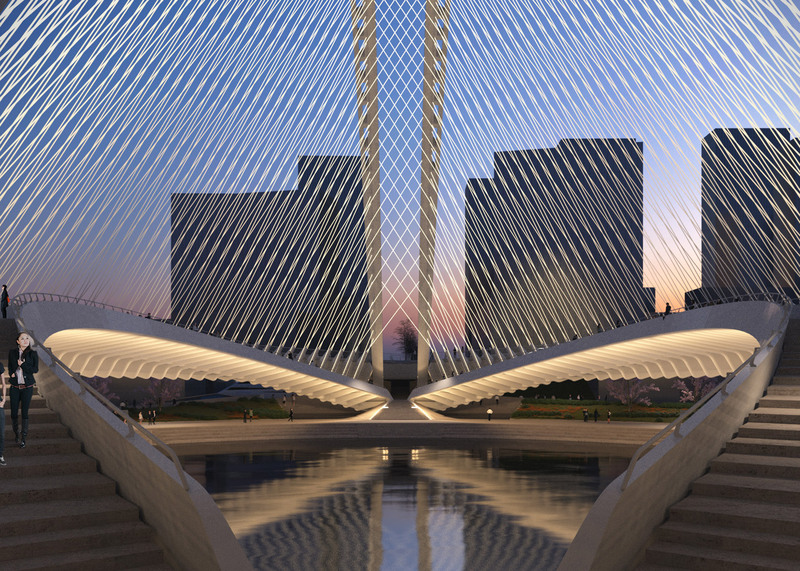 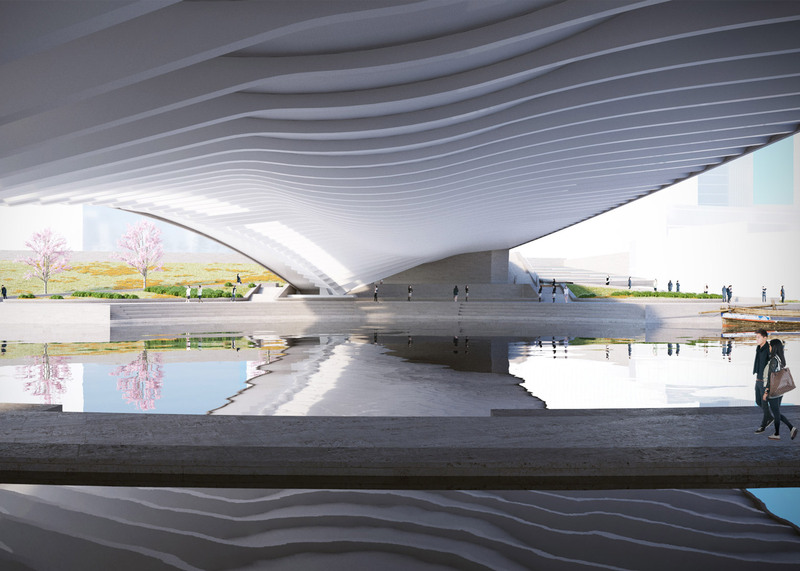 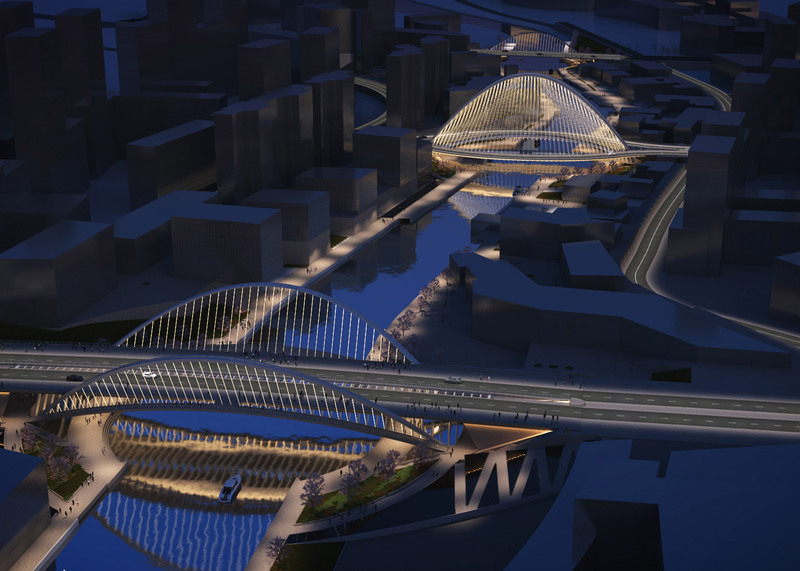 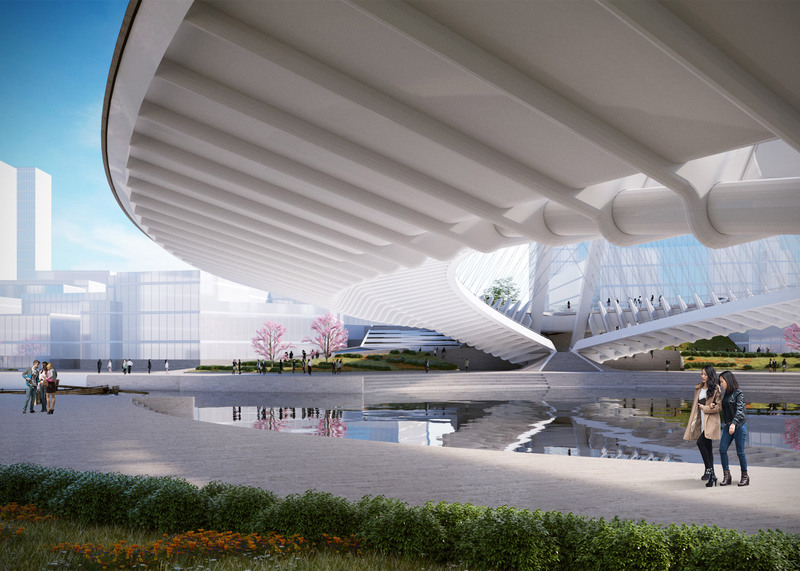 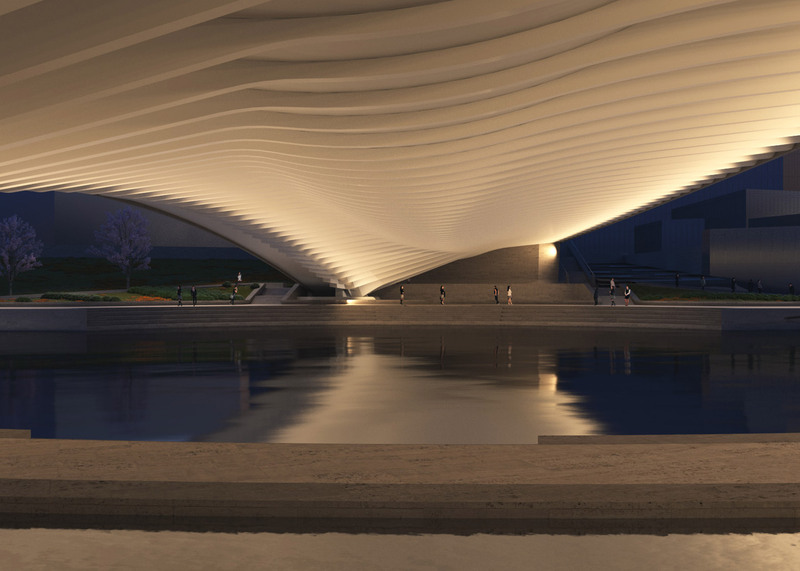 Calatrava believes the bridges will help guide and accelerate development in the city core. 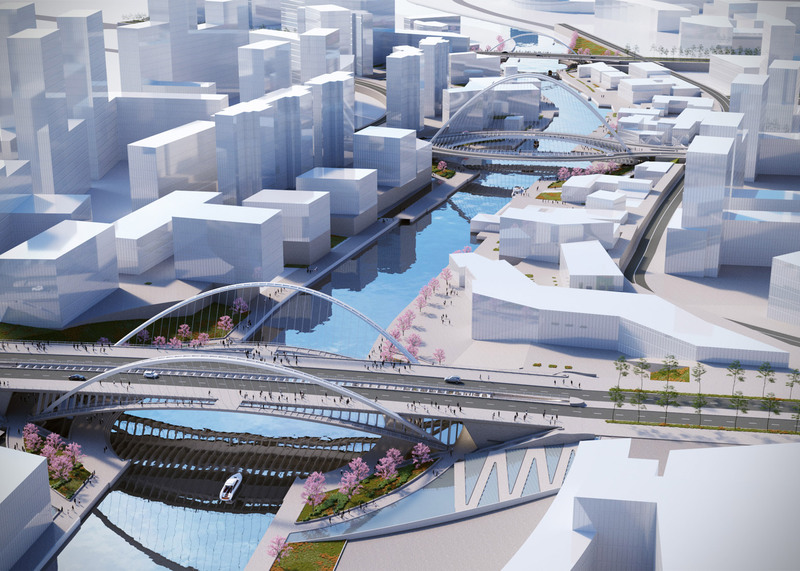 "The Huashan project is a clear example of how an urban element, key to the successful growth of the city, can at the same time improve the quality of life for its citizens, thanks to an integration of all three bridges and the creation of boulevards on the banks of the canal," he said. 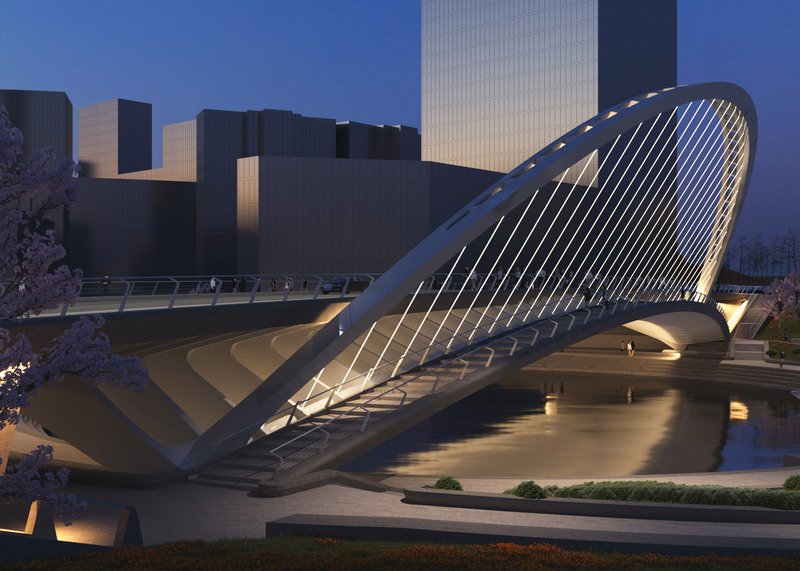 Calatrava has designed bridges around with world, including Cords Bridge in Jerusalem and the Quatro sul Canal Grande in Venice. 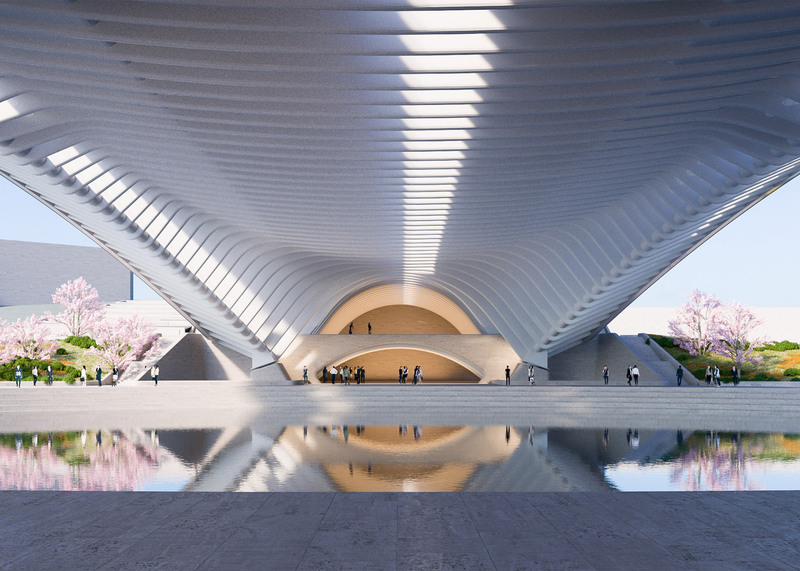 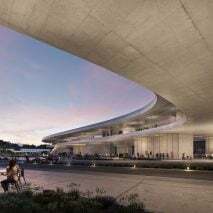 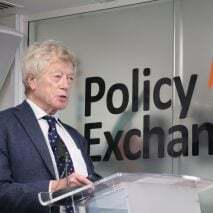 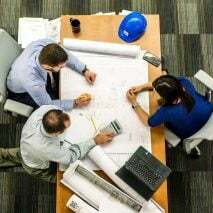 Also known for his train stations, he is currently completing the transportation Hub at the World Trade Center in New York that has recently been delayed by leaks in the ceiling.